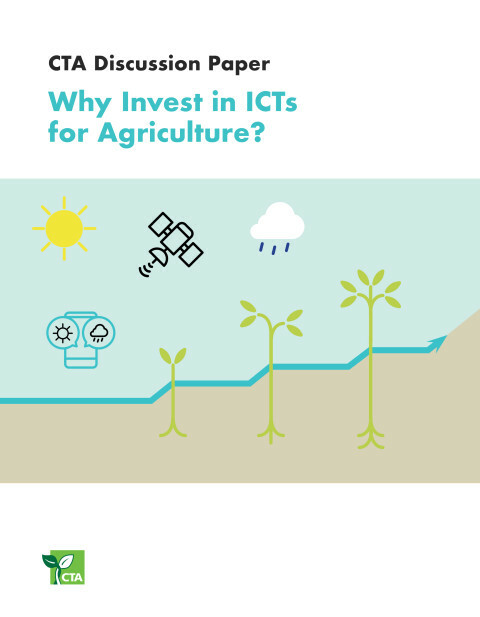 ICTs offer farmers a range of opportunities to acquire real-time agricultural information to enhance their production. 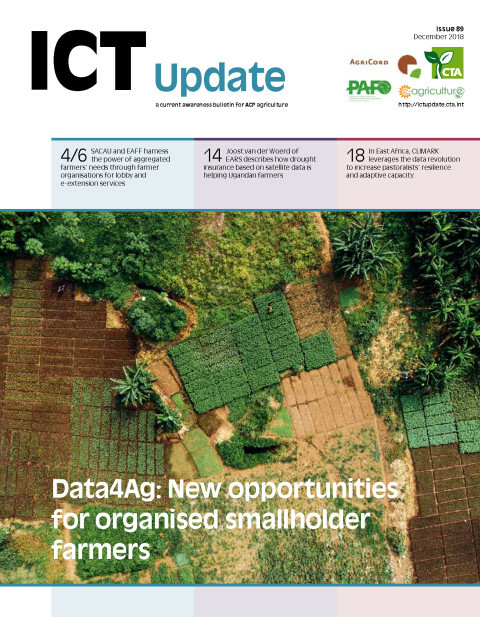 As such, CTA and AgriCord co-financed a 2018 Pan African Farmers Organisation (PAFO) project to provide access to market-oriented agricultural extension and advisory services, via mobile phones, to smallholder farmers in Kenya. The Eastern Africa Farmers' Federation (EAFF) is running the e-Granary mobile platform to increase access to market information and e-extension services for farmers by using the e-Granary mobile platform to mitigate the lack of access to conventional extension services in Kenya. The project meets the needs of the farmers by using mobile phones to increase their access to real-time market information, which helps to inform food production and trade within the region. The e-Granary platform enables the farmers to decide when, where and at what price to sell their products at. This information helps the farmers to make more informed production and marketing decisions. Currently, 43,400 farmers are registered with the e-Granary platform in Kenya, which sends targeted voice messages to the registered farmers based on location and crop. The e-Granary platform strives to make farmers more attractive to insurance and credit companies. The production and the financial history of the farmers who use the platform is documented: farmers are interviewed by enumerators and can submit updates by phone. The services provided by the platform also benefit other service providers too. According to Stephen Muchiri, CEO of EAFF, the e-Granary platform also generates location data and finance data which can eventually help to inform future policy decisions. The project delivers training in finance and trade, on the e-Granary platform. So far 1,156 farmers have benefited from this and it is hoped that the information will now disseminate throughout farmers’ organisations. The e-Granary project also uses radio programmes to engage with more farmers and cover more topics, such as postharvest handling and soya bean farming. With the arrival of the fall armyworm in Kenya, e-Granary was able to quickly organise pest management training. This enabled farmers to take the right action to reduce fall armyworm infestations. These activities were also developed to help improve the uptake of other services and products provided by the e-Granary project, such as the mobile platform. To speed up the registration process, EAFF hopes to hire and train more enumerators to do the surveying. With the number of farmers registered with the e-Granary platform increasing between 2017 and 2018, EAFF is expecting the project to reach 100,000 farmers by the end of 2018. Digital farming holds enormous potential for agricultural development, and giving farmers the tools to boost productivity and profitability. Although the benefits of digitalisation are numerous, farmers feel they are not the ones benefiting from the value of data collected on their farms. Ensuring that farmers understand their rights to data, and have access to relevant data, is essential to harnessing the benefits for better farm decision management.